A new study shows that those who go to church live longer! The same goes for people who have pets as well, but I'm not so sure you can take your pets down the isle, unless maybe it's a service fur-baby! But it's true, according to the study done at Vanderbilt University in Nashville, Tennessee by Dr. Marino Bruce, a social and behavioral scientist and associate director at the Center for Research on Men's Health, his study concluded that the benefits of worship for those who attend religious services included living a less-stressed life and a longer one at that. You'll be happy to know, it's not one particular church either, whether you attend a church, mosque, temple or parish – it's about any faith. 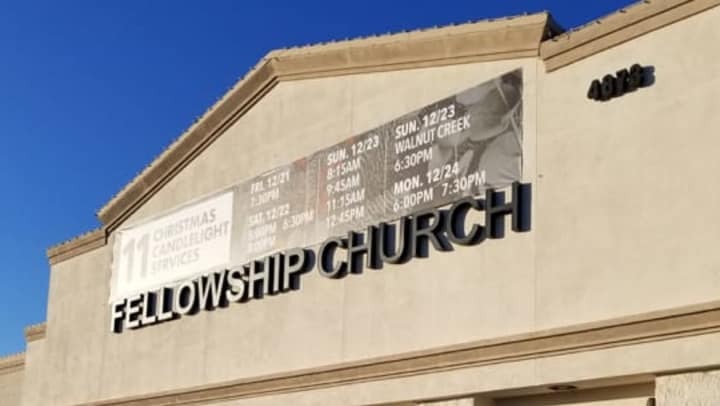 Far East County is home to many places to worship, no matter your faith, which is why I wanted to inform you about some of them – just in case you are new to town and can't find the Yellow Pages (I mean, what's that?) and you are searching for a place to call your church home. I thought I'd highlight 10 churches in your area, in no particular order. Please note, this is only 10 of MANY places of worship, feel free to do a Google search for more! 1. St. Anthony Catholic Church – Located at 971 O'Hara Ave., Oakley, CA, their quote is "The life of the body is the soul, the life of the soul is God." This parish serves the needs of the community in many different ways. They offer preparation for sacraments, education for children and adults, social activities, assistance to those in difficulty, and comfort to the sick and those who mourn a loss. If you would like to join the parish in efforts to serve God by serving the community, contact Fr. Rafael Hinojosa by calling the Rectory Office at 925.625.2048, or visit their new website for more information at www.stanthonyoakley.com. 2. 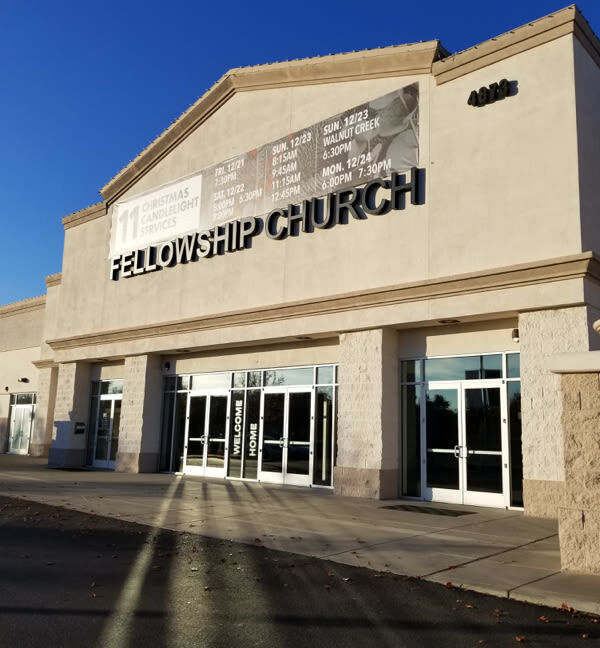 Fellowship Church: Hope & Healing – Pastor Shawn and Dianna Nepstad transformed the former Orchard Supply Hardware store at 1234 Lone Tree Way in Antioch, CA, into a 4,000 weekly attendance house of worship in just six short years. Their quote is "Hope for tomorrow and healing from yesterday. That's all found in a relationship with Jesus." Their Church is known for its life-giving culture along with a passion to see people know God, find freedom and discover purpose, so they can make a difference. Visit them at www.tfcpeople.com. 3. Brentwood Muslim Community Center – Located at 7701 Lone Tree Way, Antioch, CA, the Center is open to all walks of faith! Established in 2010, they are a second home to over 300 culturally and socioeconomically diverse families yet for some, it feels like their primary home. The Center does so much for its community. They have youth groups, religious programs, gatherings, dinners, weekday and weekend school, community outreach events to include the homeless and food for the needy, festivals, counseling and so much more. This is the hub of everything that happens within our community. It's the central part in the lives of its members. Visit them at https://brmcc.org. 4. Kingdom Hall of Jehovah's Witness – Located at 2401 Smith Rd., Brentwood, CA, their quote is, "We come from hundreds of ethnic and language backgrounds, yet we are united by common goals. Above all, we want to honor Jehovah, the God of the Bible and the Creator of all things. We do our best to imitate Jesus Christ and are proud to be called Christians. Each of us regularly spends time helping people learn about the Bible and God's Kingdom. Because we witness, or talk, about Jehovah God and his Kingdom, we are known as Jehovah's Witnesses." Visit their national website at www.jw.org or call their local number at 925.634.5654. 5. Acts East County The Landing Place –Their quote is, "A safe place to land," with Pastor Kevin Hope and Lady Lori Hope, opened it's church doors together on Jan. 7, 2018 and is located at 6830 Lone Tree Way, Brentwood, CA. Their The Oakland location grew into one of the largest congregations at 7,500 nationwide of the Church of God In Christ (COGIC) churches, with their amazing growth credited to Bishop Bob Jackson and leading teams of SWAT - Soul Winning Across Town. Their Brentwood location is built on four pillars: True Worship, Sound Doctrine, Fellowship and Evangelism. Pastor Kevin Hope also collaborated on a healthy church, which included integrity, purity, unity and healthy families. Visit them at www.actsfullgospelec.org. 6. The Church of Jesus Christ Ladder Day Saints – Located at 1875 Highland Way, Brentwood, CA, is celebrating the 100-year anniversary of Joseph F. Smith's vision. The church's history is rich in covering the teachings of the Holy Bible, including the Old and New Testaments, along with the Book of Mormon. They offer hope and help to families and youth through bible studies, teachings missionary work and more. Visit their national website at www.lds.org or call their local number at 925.513.0539. 7. Brentwood Community United Methodist Church – Their quote is "Open your heart to God." Located at 809 Second Street, Brentwood, CA, and known as the longest, continuous Christian ministry in Brentwood, Pastor Hyesung Lee's mission for their church is to continue into the 21st Century as a reconciling congregation who welcomes people regardless of gender, race, class, age, ability, religious affiliation or sexual orientation. They value each one as a precious and unique child of God. Visit them at www.brentwoodumc.org/bcumc/heart2heart. 8. St. Demetrios Greek Orthodox Church – Located at 1955 Kirker Pass Road, Concord, CA, across from the Pavilion, for the last 40 years in September the parish hosts an amazing Greek Festival for the public since food, wine and music are part of Greek tradition. They showcase the best artisan Chef artisans in the world – their Greek grandmothers! Built in 1994, visit their website for service times at www.saintdemetriosconcord.org/st-dionysius-center/. 9. Contra Costa Jewish Community Center (CCJCC) – Their office is located at 1550 Parkside Drive, Ste. 130, Walnut Creek, CA, and the organization hosts many events and activities for the Jewish Community. Their quote is, "CCJCC serves as a welcoming entry door into greater Jewish involvement. We are inclusive and want to engage both the unaffiliated as well as the affiliated members of our community. We embrace diversity and actively support creative approaches to building Jewish identity." Visit them at www.ccjcc.org. 10. East Bay Hindu Temple – Located at 595 School Street, Pittsburg, CA, their quote is, "We are a spiritual and humanitarian Hindu organization dedicated to serving humanity by caring for individuals, families and society. We are a dedicated force of volunteers offers to serve the community through various health, and education projects." Visitors to the Madir will experience various aspects of Hindu rites and rituals and the core philosophical concepts of the religion. Visit their website for more information at www.eastbayhindutemple.com/about-us. Running a church or a place of worship can involve a lot of stuff. We're talking about chairs, tables, and supplies. If your church is running out of space and needs a little more storage, we encourage you to consider self storage. Self Storage can be a great tool for the continued expansion of your church. At Cypress Self Storage, Oakley's newest self storage facility currently under construction, we support all faiths and all places of worship. We look forward to meeting you soon, when our doors open for business in 2019!